We have eight excellent all-weather courts, constructed in 2016. Four are macadam and four TigerTurf Advantage pro, a state-of-the art synthetic surface that is proving very popular amongst our members. Two of the TigerTurf and two of the macadam courts are floodlit. The clubhouse is modern, with showers heated by solar panels and we have plenty of parking spaces and cycle racks. All year round, the views across the local countryside are stunning. A very convivial atmosphere prevails at this historic club, where absolutely everyone is welcome. We offer tennis for everyone and pathways for improvement. When you join, we operate a “buddy” system to help you settle in and find the best sessions to suit you. For many members, at the heart of the Club are our Club Sessions. These are open to all, but targeted at particular groups. The most popular takes place on Saturday afternoons from 14:00 to 17:00 (13:30 to 16:30 in winter), when most of our courts are busy. Sunday is also busy throughout the day, with a strong family flavour and four courts are reserved for a joint Club and Family session between 14:00 to 17:00. On Tuesday evenings we cater for beginners and improvers. Excellent value coaching from 18:00-19:00 sits alongside a Club session from 18:00 -20:30. On Thursday evenings the focus is on intermediates with great value coaching focusing on match-play from 17.30-18:30 and a Club session from 18:30-20:30. For those free during the day-time there are also Club Sessions on Monday mornings from 11:00-12:30 and Wednesday afternoons from 14:00-16:00. Many other members play in Arranged Groups. These can vary from four friends playing together to larger numbers where new members may be accommodated. Your buddy will have access on information about these and can discuss options with you, possibly introducing you into a suitable group or helping you find one of your own. We also have a very full Coaching Programme for Seniors and Juniors run for us by top class coaches– for details, visit our coaching pages. Our coaches are also happy to arrange Individual Lessons. 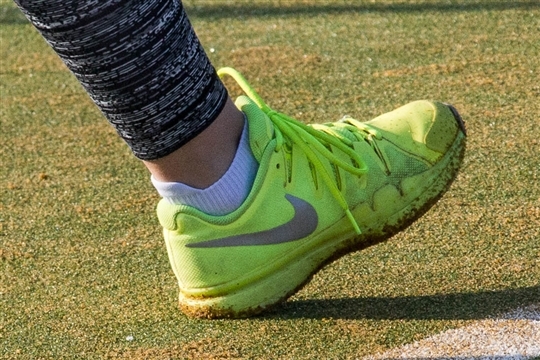 For those with a competitive streak we have 4 Men’s, 3 Ladies’ and 2 Mixed Teams that play in the Cambridgeshire League (click here for details) and a range of Club Competitions throughout the season. Much of the same applies to our growing Junior Section. For full details click here. Finally, of course, all members are welcome to arrange individual games with other members, or with non-members on payment of the £5 Visitors' Fee (£10 if you are playing with two or three).